Industrial applications can take a worker's hands from high heat to delicate assembly work in minutes. Even the smallest error can snowball into a potentially major hazard, which is why professionals in every industry turn to Pro-Mech Mates for personal protective equipment that is as adaptable as their workday. 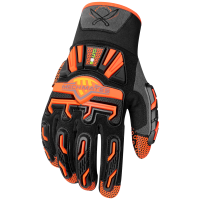 Expertly designed gloves combine the right safety features for anyone that needs hand protection. 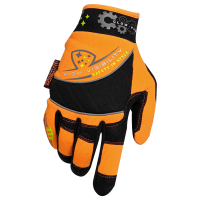 Airport control technicians, construction works, first responders, forestry professionals, laborers, electrical technicians, machine shop workers, mechanics and dozens of other job descriptions all add to performance and reduce the number of work injuries with the right style of work glove. 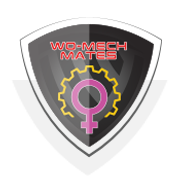 Mech Mates offers variety, so you can find the perfect combination of materials to manage the challenges you face at work. 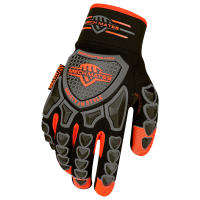 Every glove maximizes dexterity, giving you a tight, secure and virtually slip-proof grip. 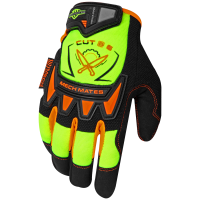 Wrap your hands in cut-proof, impact-resistant, high-visibility, flame retardant fabrics, as needed for your situation. 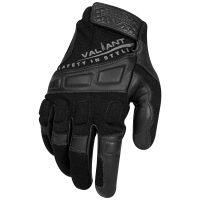 As the job site changes, you can swap your protective gear, or just go for a full-service option. 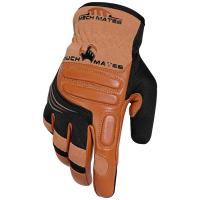 When the work gets tough, the tough; pull on a pair of Pro-Mech Mates for added durability, safety, comfort and style. At work, preventable hand injuries happen all of the time. 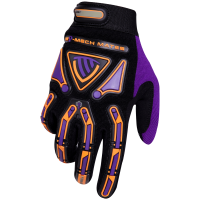 Simple bumps, hard knocks and pinches can all be prevented with the right personal protective equipment. 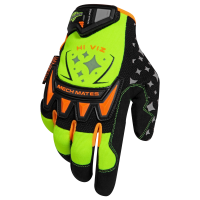 Our Pro-Mech Mates series gloves feature protection precision-designed to stand up to specific job hazards. 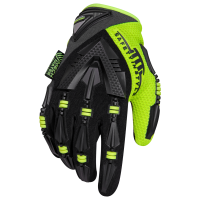 The Impact Protection Gloves series defends against bumps and impacts using a combination of materials that range from full thermoplastic rubber (TPR) to silicone printing and fabrics that give you a fail-safe grip. 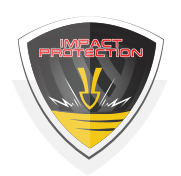 Our Impact Protection Gloves series does more than just throw up a barrier against falling objects. 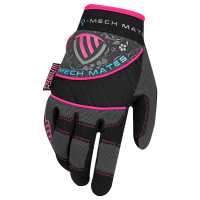 These gloves are anatomically designed so you get full armor without compromising hand dexterity. 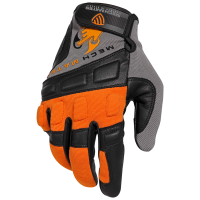 Whether you handle tools, work in construction, deal with heavy machinery, step up to the automotive assembly line, install HVAC systems, or work in any job that requires regular contact with machinery, our Impact Protection gloves are a piece of hand armor ready to wear. 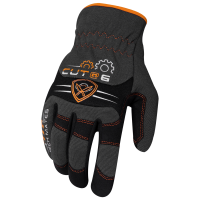 Get the best of form and function with our distinctive, high-dexterity patterns that feature grip enhancements, reinforced areas and an adjustable fit. 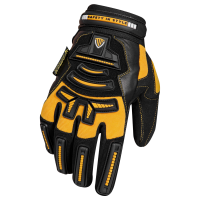 Tough, durable and ready for work, our Impact Protection Gloves series gloves are the safety gear that can keep up with the demands of your job. 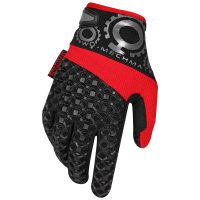 Repetitive impacts and vibration can lead to everything from carpal tunnel to hand-arm vibration syndrome (HAVS). 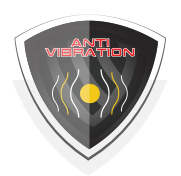 To combat these issues, we developed our Anti Vibration Gloves that build in a layer of vibration-absorbing gel. 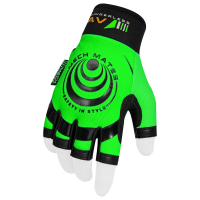 Anatomically positioned to cushion against vibration without affecting your range of movement, vibration-absorbing gel lets you grip strong, all day long. 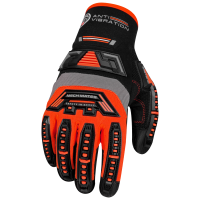 Our Anti Vibration Gloves series does more than just fight the reaction that comes with a full day handling pneumatic tools. 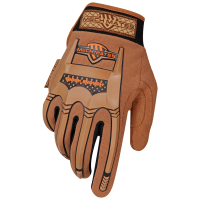 For truly rough jobs, some of our premium options feature drum dyed genuine goatskin palms. 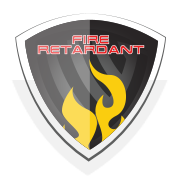 Others incorporate TPR for an extra layer of padding against bumps and impacts. 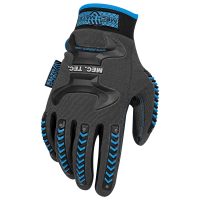 Every glove in this line anatomically incorporates vibration-dampening gel pads to soak up the reverb and leave your hands without a quiver. 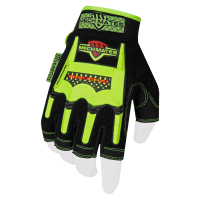 When you need top-of-the-line anti-vibration gloves that move smoothly from the warehouse to the construction site, check out our Anti Vibration Gloves series. 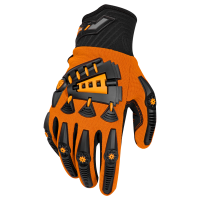 Different levels of anti-vibration resistance respond to the demands of your job from gloves ready for hand drilling to the more extreme pulses of demolition control work. 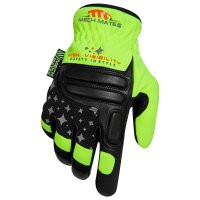 When it gets a little too bright on the job from flying sparks and molten metal, you want the best protection out there to keep your hands safe. 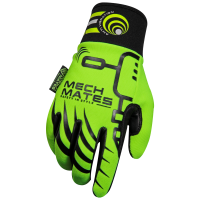 Mech Mates surrounds your hands with top of the line fire safety gloves that easily handle flames and sparks. Whether you're firing up an arc-welder, pouring molten liquids into molds, or engage in any other "hot work," flame protection is a must. 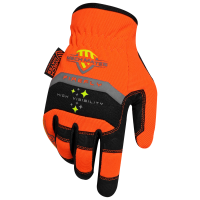 Our FLAME RETARDANT GLOVES series includes flame-retardant gloves that stand up to flares, splashes, sparks and open flames. 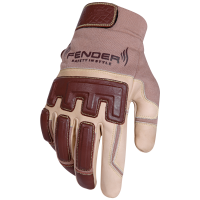 Burn injuries can keep you off the job for weeks, but with FLAME RETARDANT GLOVES gloves, you can handle molten metal and furnace flares with equal ease. 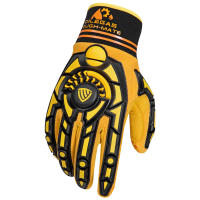 Using ultramodern, exceptionally fire-resistant materials, we have designed a series of work gloves that can go from the furnace to the assembly line without burning, melting or calcifying. 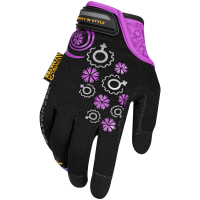 Add in impact protection and fabulous dexterity, and you have a work glove that is truly professional grade. 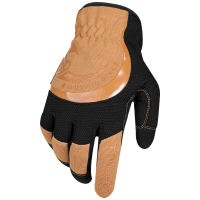 When you want top-notch protection, slip on a pair of our FLAME RETARDANT GLOVES and get to work. 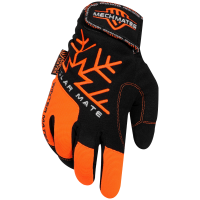 Every bit of these gloves uses a fire-retardant material, so you don't need to worry about melting threads or a glove palm that might go up in flames. 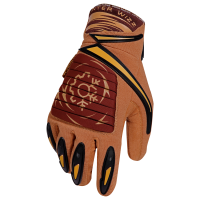 Careful attention to detail leads to a glove that is highly mobile, durable and with an adjustable fit to seal flames on the outside of the FR fabrics. 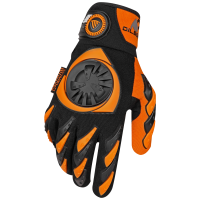 WINTER WORK GLOVES are designed for comfortable, durable hand protection that maintains flexibility and top performance, even when the weather turns chilly. When you work year round in any weather, even the temperature can turn into a work hazard. 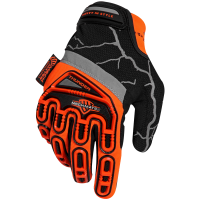 Cold hands stiffen up and lose power, leaving you without your most important tool--your hands! 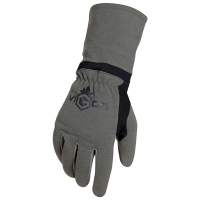 Sub-zero temperatures invite dreams of roaring fires and inside work, but when you have to face the weather, you're reaching for winter gloves. 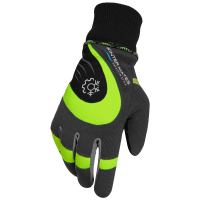 The warmest glove is the one you want, as long as it can handle everything your workday can throw at it. If added insulation comes at the cost of needed protection, it's a poor trade. 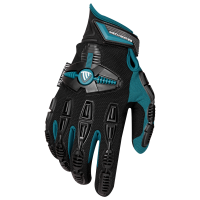 Introducing the latest and greatest option in combined safety and insulation with the WINTER WORK GLOVES series. 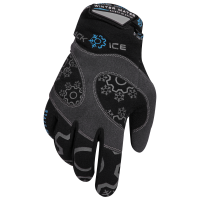 When you pull on a pair of Winter Mates cold weather work gloves, you get serious insulation backed by equally serious safety features. 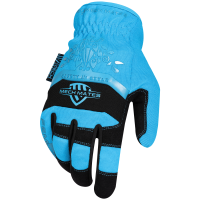 No work is too tough and no weather is too cold when you're wearing one of WINTER WORK GLOVES. 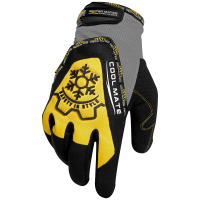 A traditional, slip-on fit makes our Winter-Mates the ideal gloves for refrigerated work sites or arctic weather. 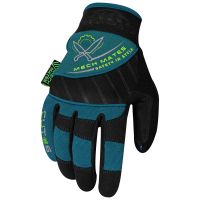 Thermo Plastic Rubber (TPR) even offers that extra, extremely lightweight padding against impacts, to keep your hands safe while you finish the job. Smart technology has invaded everywhere, even industrial job sites. Touchscreen control panels handle everything from heavy machinery to simple communication devices. 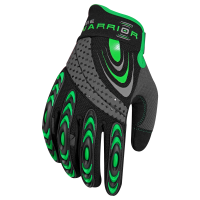 With everything moving toward touchscreen operations, the work glove industry faces a challenge. 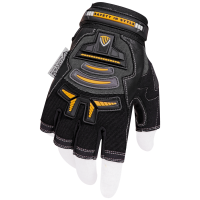 How do we sew gloves that will keep your protection level high but still work with modern touch-capacitive screens? Our TOUCH SCREEN GLOVES are the solution. 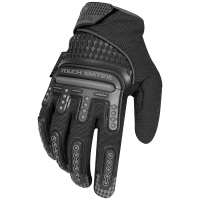 Every glove in this series builds in touch-enabled fabrics, so you can activate a smartphone, hit go on a control panel or manage any other leading-edge electronic gadget without taking off an important piece of safety gear. 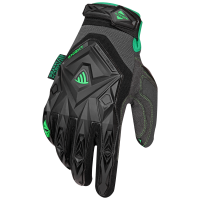 By adding touchscreen-compatible capabilities to the mix, we have created a series of gloves that blend the needed safety features of impact and cut protection with modern technology. 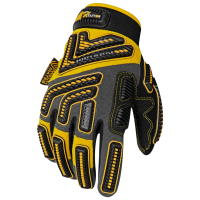 From the mining industry to manufacturing, our TOUCH SCREEN GLOVES have you covered. 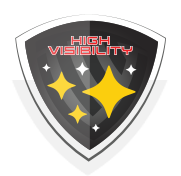 Multiple grades let you choose the level of defense needed for your specific application. 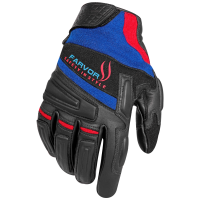 Whether you need a glove with more impact protection to help with loading, or you want extra cut resistance to work in a glass factory, there's a TOUCH SCREEN GLOVES option. 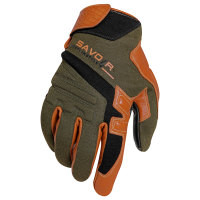 Pull on a pair of these multipurpose gloves and jump into your next project without sacrificing safety or technology.